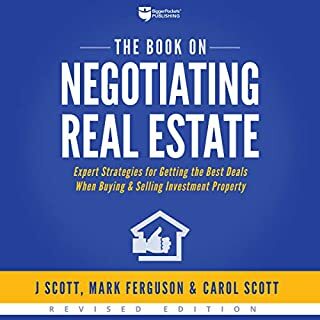 Practical, real-world advice for those looking to build wealth and cash flow through rental properties! 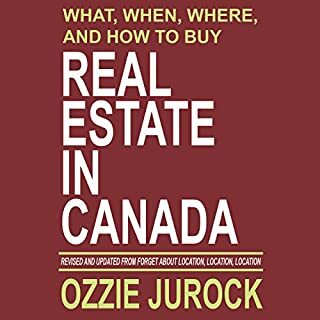 Very Informative - Even for Canadians! Covers all the bases! 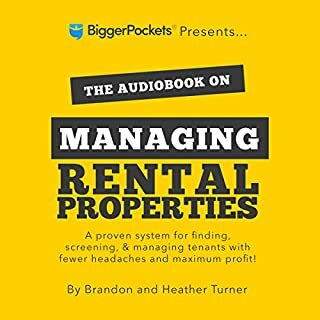 As a new landlord, I have learned about so many more resources and ways to connect! 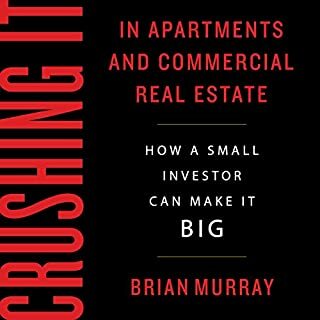 Awesome insight for someone who is looking to get into real estate investment properties. loads of great information and models for growing your business. I listened to this book twice. I've gained so much good information and confidence in pursuing wealth through real estate investing. 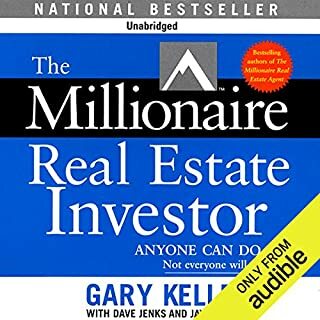 I recommend this book to any one looking to build wealth through real estate. Well written and presented. The author narrated his book clearly and precisely with genuine objectivity without forcing his opinions on you. 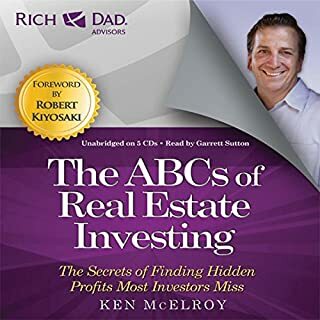 His experiences as a real estate investor and landlord made his advice practical and relatable. 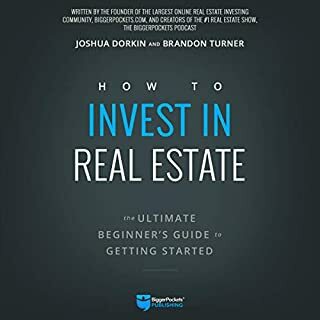 I definitely learned that a rental property investment is not a Passive investment and I will think very carefully before I venture into it. 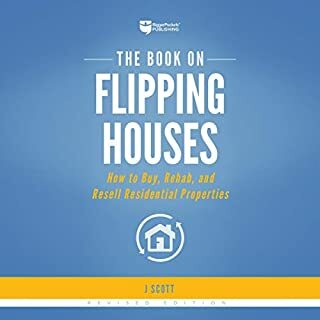 I recommend this book highly for anybody looking to buy a house or becoming a landlord. I will be buying the hard copy so I can study it better. There is only so much you can absorb in the vehicle on the road! overall I really feel I learned a lot from this book. Of all the books I have purchased this is in my top two. this book is just great. thanks for sharing and writing it. This is a decent book. Brandon highlights plenty of great processes that could turn a first time buyer into a landlord but always bring it back to the fact that the reader must take the plunge and invest. Tons of material is referenced to bigger pockets but quite frankly that's Brandon's second baby and the site is filled with plenty of resourceful people. loved it. hands on. so full of tips i'll have to listen to again and perhaps buy the actual book. i've learned a ton about real estate! I almost didn't buy this audio book because of some of the reviews saying the narration wasn't edited or was poorly done. I think the author has updated/edited the narration since then because I didn't have any of the issues mentioned. Try the sample chapter if you're still unsure. 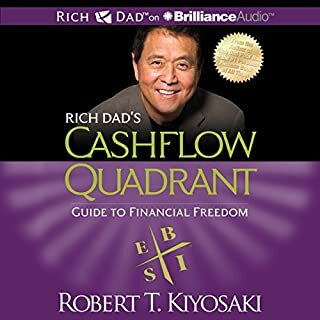 Lots of great advice and I've had a rental for 3 years now; I never would have had time to read this book so glad the audio version was available. Yes, as others have stated, the performance was horrid and needs to be edited. 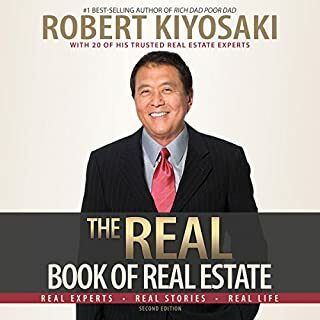 HOWEVER, if you are serious about real estate investing, there is no other book that has this much meat and useful information. It's totally worth suffering through the performance. 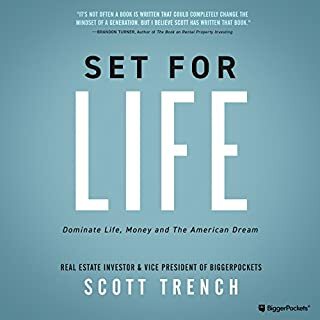 I hope this gets an update, but it's still at the top of my list of real estate investing books (and I've read a lot). If it had actually been edited. The starts and stops are distracting. The Jordan Spieth-like choke while trying narrate his own book. I'm writing this only an hour in. Let me get back to you. This is embarrassing. Who said this was ok to release un-edited? The book seems decent but the reading is awful. Would you try another book from Brandon Turner and/or Brandon Turner? I would consider reading another book but no more audio books thank you. 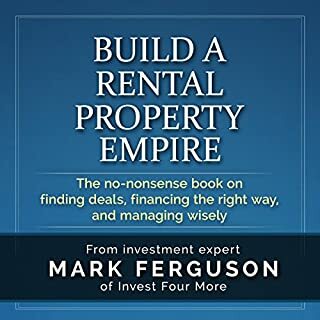 What was one of the most memorable moments of The Book on Rental Property Investing? The time in one of the earlier sections where Brandon stumbled over his line and restarted the sentence no less than three times. What didn’t you like about Brandon Turner’s performance? His enunciation is very poor and the recording is completely unedited. 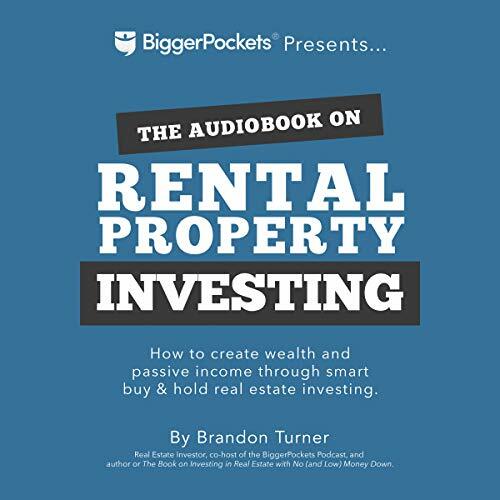 Who do you think would benefit most from listening to The Book on Rental Property Investing? Someone who is a beginner/novice real estate investor that has a lot of patience for a terrible performance. Just pay for a professional read or at a minimum edit the current performance. 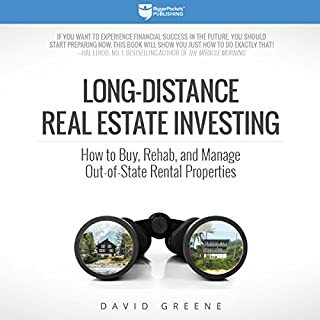 Very informative read/listen (I bought the Kindle edition too) for new investors and people doing initial research into the opportunity of rental property investing. There's countless plugs for their Bigger Pockets website but you should have already expected that. 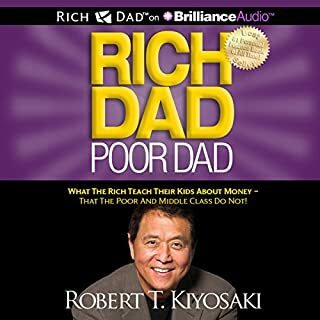 I was very disappointed in the quality of the audiobook since it contains things like the narrator going "ugh let me start over" as he reread a mistakenly spoken sentence, or listening to him lick his lips throughout the book. Why not record those sections without the mistake, or hire a professional narrator? Overall I recommend reading or listening to this book for the quality of the information if you're new to the game. This book was not edited! When he was speaking and messed up or stuttered, he would keep it in and say lets try it again. It was not professional at all. This really tarnishes the BP brand. I was really surprised. The book is for beginners if you already have a few rentals this isn't for you. Brandon... The book was great, with solid content. 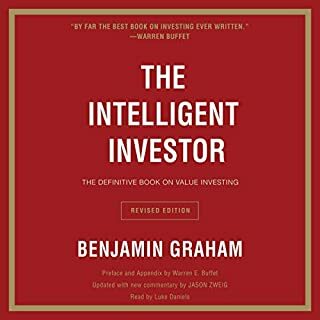 It was truthful in its own right, and I appreciate you mentioning the dynamics of the awful side of Buy-and-holds, which any investor is well aware. 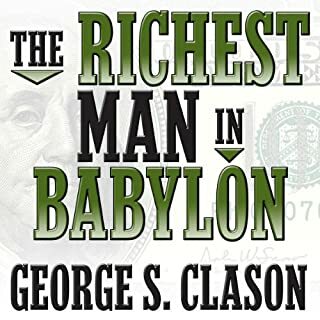 However, I can tell that you didn't listen to this book even once after you finished the "performance" or lack there of. 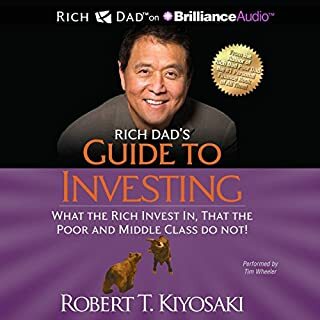 There is a complete lack of respect for the people who purchased this book for $17 and you provided the single worst reading performance audible has ever seen. Congrats! Seriously, you need to re-record this monstrosity and re-publish it. This is not a freshman year English composition paper you were too lazy to edit, this is a education product built for a large market of people looking for creative ways to obtain passive income. Get your act together. Reader had an extremely heavy lisp. It sounds like his tongue got stung by a bee. He also overuses works like "therefore" and furthermore." The content of the book was good, but I got sick of listening to the guy talk before I was even half way through the book and gave up. The info was not worth the annoyance. Unprofessional. I would be embarrassed to be him. Content is decent, but it is completely unedited. He literally messes up and stops reading, says something about how he messed up and takes a deep breath and says, let's try that again. he talks to himself like this a few times. 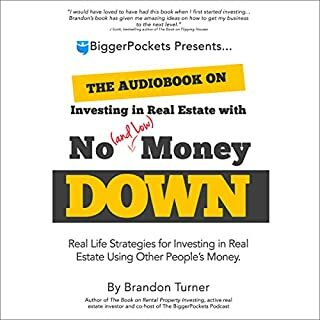 What made the experience of listening to The Book on Rental Property Investing the most enjoyable? Great information for anyone considering investing in rental properties. I'm only at the point of doing research and this book is perfect for someone like me who needs everything explained clearly every step of the way. I don't see why everyone is slamming Brandon's audio performance. Unless I have a new version that has been edited, I haven't found any of the comments bashing the performance to be true. One lady complaints about his enthusiasm... really? Personally I think Brandon did a great job and his enthusiasm keeps me engaged. I'm only several hours in but I've only heard one small stumble, nothing to tear the book apart for.